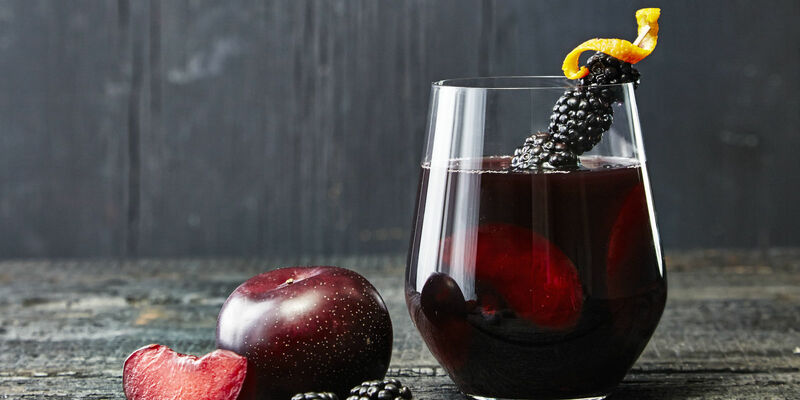 Ixel’s Black Magic Sangria Recipe – Zero Equals Two! Place the blackberries, grapes, and plums in a pitcher. Add the wine, brandy, and crème de cassis, and stir to combine. Cover and refrigerate until chilled, at least 4 hours or overnight. When ready to serve, add the club soda and stir gently to combine. Taste and add more club soda if desired. Scoop a few pieces of fruit into ice-filled glasses before pouring the sangria. Makes around 12 to 16 servings.